Bonnie Maxiene (Hale) Little was born on August 3, 1945. She was born on the Thomason Homestead in the Bethel Community, West of Hinton to Pete and Bonnie (Thomason) Hale. 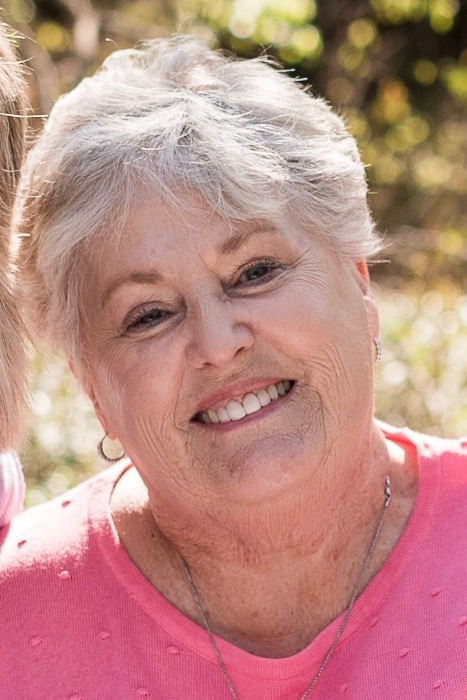 She passed away on January 28, 2019 at home in Hinton, OK at the age of 73 surrounded by her family. She attended her early school days at Pleasant View School west of Hinton. She attended Hinton High School where she was active in basketball, cheerleading, track, and band. She graduated from Hinton High School in 1963. She attended SWOSU and earned a business degree along with her teaching certificate. She taught 21 years at Hinton Elementary School, teaching reading lab, and later moving to third grade, retiring in 2000. She married Larry J. Little December 2, 1989. They continued living in Hinton. She was a very devoted wife, mother, grandmother, and great grandmother. In her early adulthood, she enjoyed riding horses and barrel racing competitively. After she retired from teaching, she helped with the farming and enjoyed traveling and attending all the sporting events of the grandkids. Growing up, she attended Bethel Methodist Church. Later, as a young adult, she attended the First Baptist Church of Hinton, where she accepted Christ as her personal Lord and Savior. Currently, she was an active member of New Covenant Church in Lookeba, OK. She had a personal ministry to which she sent out a daily Bible verse to her many family members and friends. She was a big Prayer Warrior and lived a faithful life. She was preceded in death by her parents, Pete and Bonnie Hale, two brothers, Clee Hale and Alva Hale. Survivors Include: her husband Larry Little of Hinton, OK, daughter, Kelli Arrington and husband Paul of Hinton, OK, daughter Jenni Gunter and husband Gary of Edmond, OK, son Michael Little of Austin, TX, son Scott Little of Oklahoma City, OK, her grandchildren, Amanda Tolentino and husband Patric of Yukon, OK, Maci Brooks and husband Jonathan of Hinton, OK, Rylei Gunter and Ramsey Gunter of Edmond, OK, Hayden Little and Hunter Little of Roundrock, TX, and Blayklee and Tylor of OKC,OK, two great grandsons, Turner and Troy Tolentino of Yukon, OK, her brother, Keith Hale and wife Carolyn of Brenham, TX, as well as many nieces, nephews, other relatives and friends.